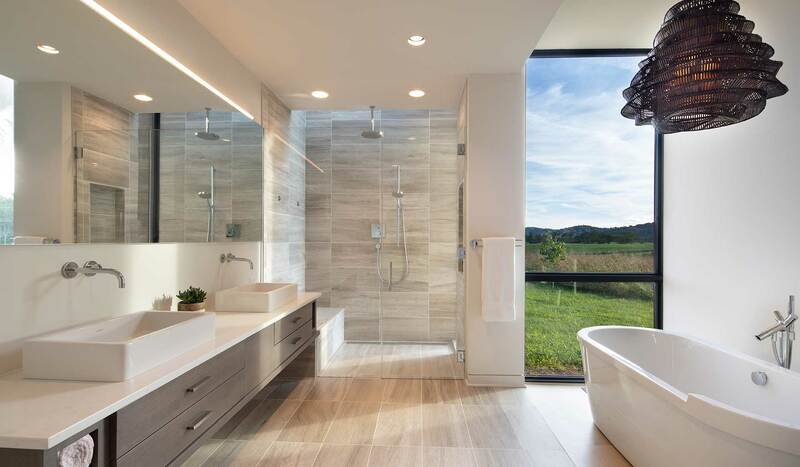 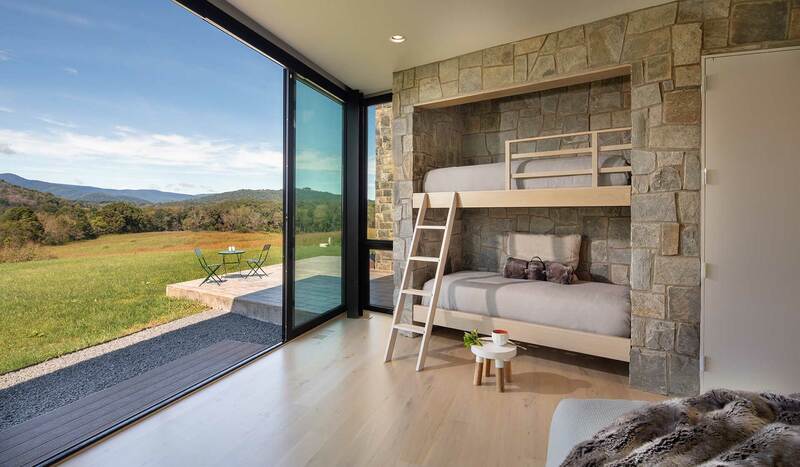 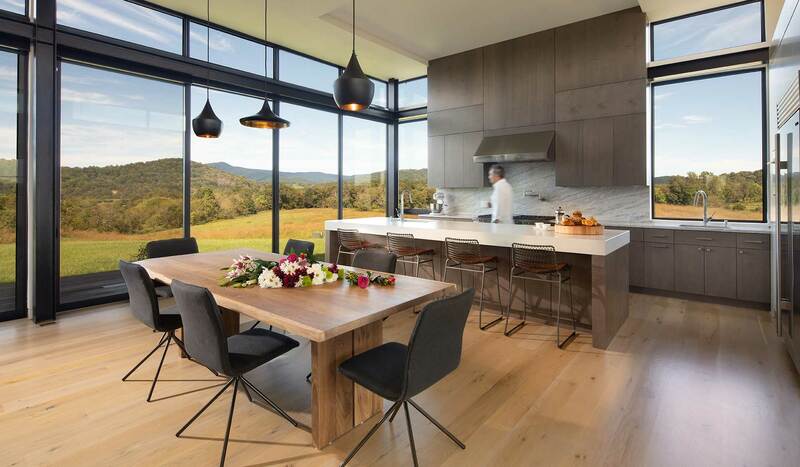 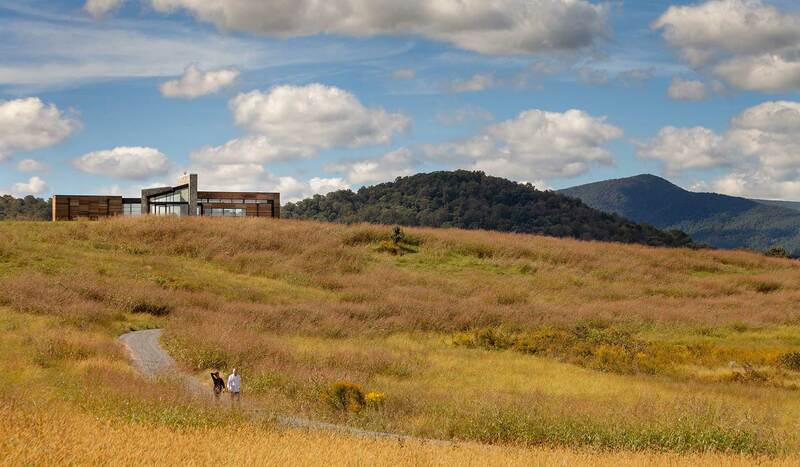 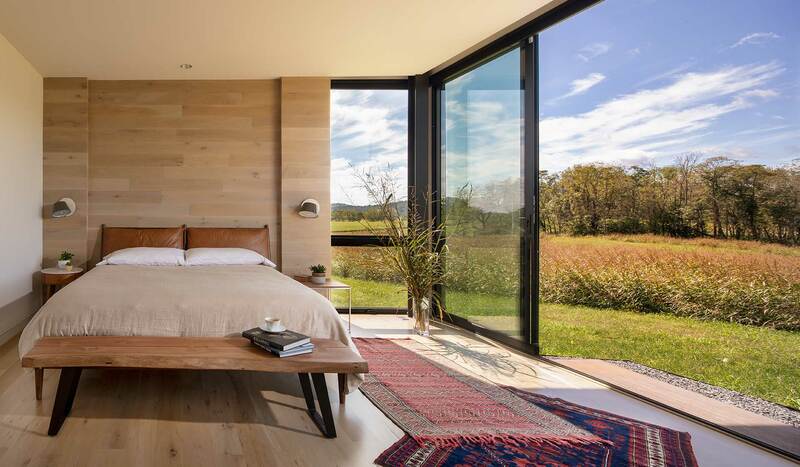 Sited on an open plain facing the majestic Blue Ridge Mountains, this retreat is a modern oasis amidst the wind-swept grasses of a ridge. 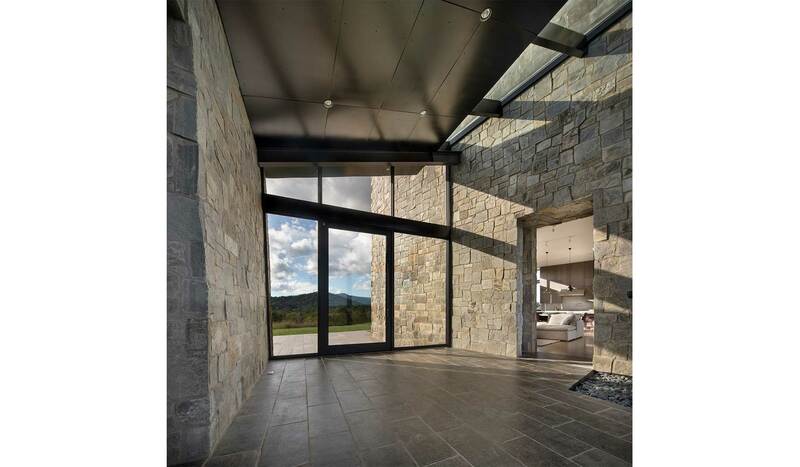 While there is no prescribed path of circulation, visitors are encouraged to enter via a stone clad entry foyer at the heart of the plan. 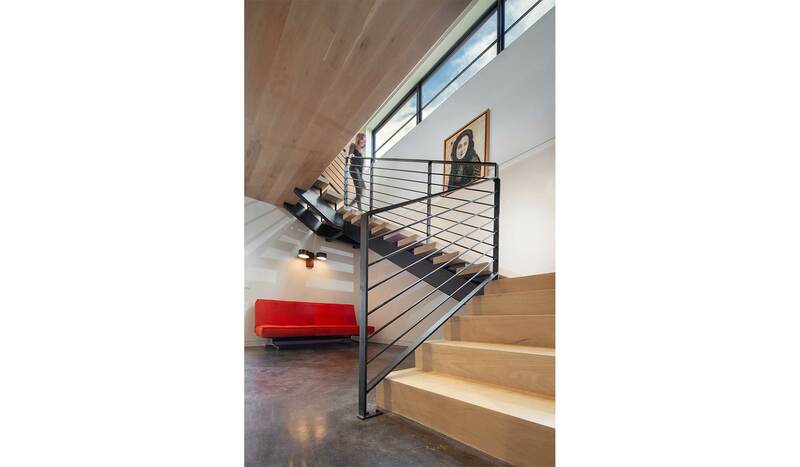 This space focuses attention on view and is a transitional space between the public and private quarters of the house. 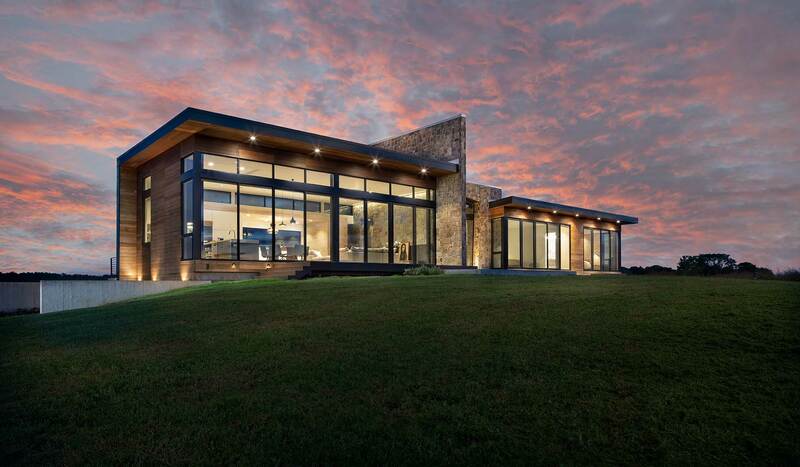 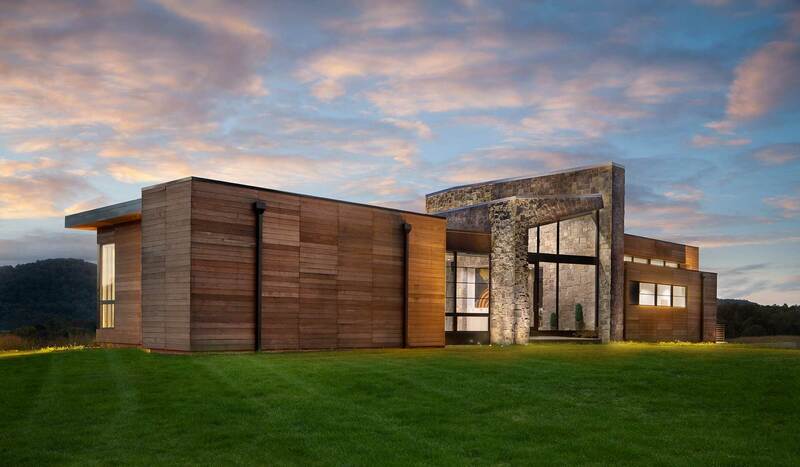 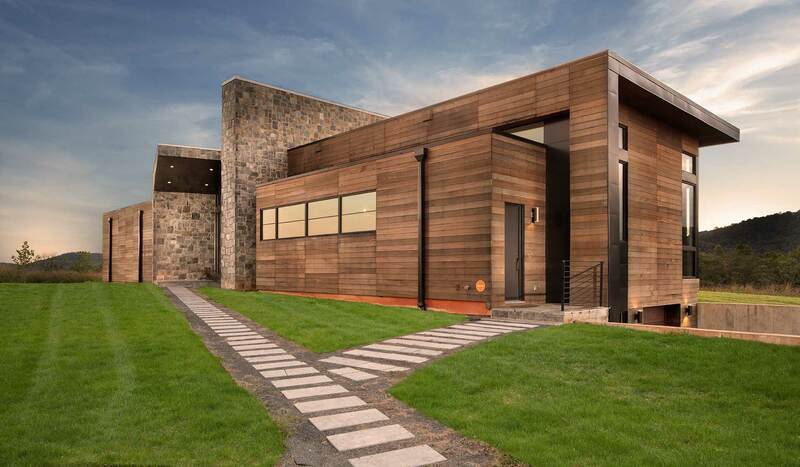 The exterior of the home is bare and rugged, offering protection from the elements. 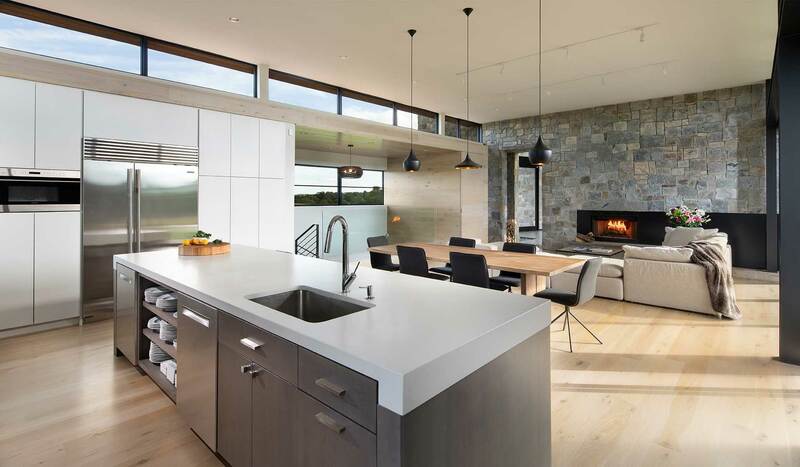 The interior is delicate with intimate detailing and just the right amount of warmth.